© Photo by Mark Gocke, WGFD. 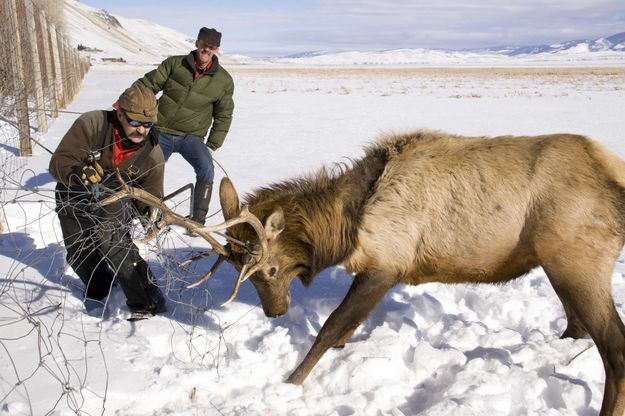 Jackson Region Wyoming Game and Fish biologist, Doug Brimeyer, saws off the elk's antler to free it from the fence. Photo by Mark Gocke, WGFD.